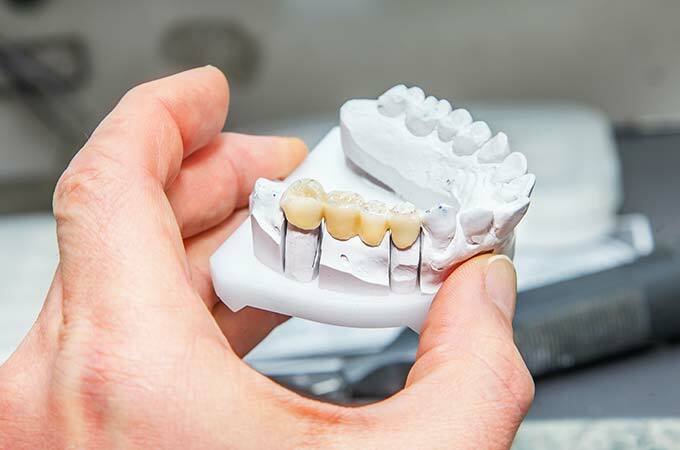 Dr. Wieland will shape your tooth or teeth in order to make them smaller and ensure that the bridge fits properly. Then an impression will be taken of the reduced tooth or teeth. During the period of waiting for the bridge to be made, the doctor will fit you with a temporary bridge to avoid any embarrassment. When the new bridge has been made, you will visit Dr. Wieland for your second appointment and your fixed bridge will be fitted. The dentist may well cement it in on a temporary basis to make sure that it fits as it should. After a couple of weeks if there are no problems the fixed bridge will then be cemented in permanently.